Geometry has two great treasures: one is the Theorem of Pythagoras; the other, the division of a line into extreme and mean ratio. The first we may compare to a measure of gold; the second we may name a precious jewel. Euclid in Book 6, Proposition 30 shows how to divide a line in mean and extreme ratio which we would call "finding the golden section G point on the line". Euclid used this phrase to mean the ratio of the smaller part of this line, GB to the larger part AG (ie the ratio GB/AG) is the SAME as the ratio of the larger part, AG, to the whole line AB (ie is the same as the ratio AG/AB). The golden section was found by the Pythagoreans who used the Pentagram formed, by the diagonals of a regular Pentagon, as a symbol of their school. 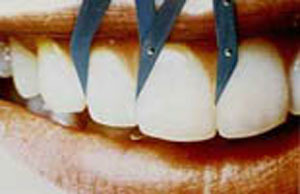 It was probably known much earlier in Egypt as some ratio of lengths and heights of Pyramids suggest. 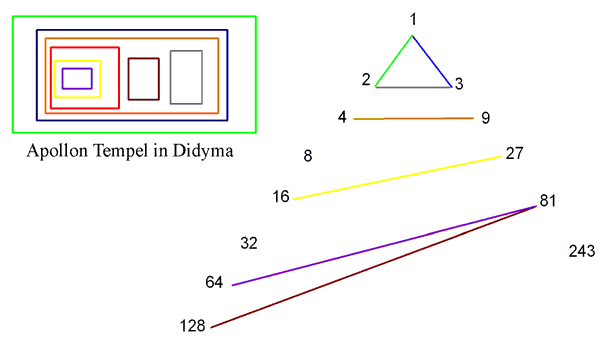 Pythagoras may have obtained this knowledge when he visited Egypt. Theano of Thurii (Θεανώ) c. 500 BC, the wife of Pythagoras is assumed to have written a book Theorem of the golden mean. The name Golden section probably is due to Martin Ohm from his Mathematics book (1835) (in German “Der Goldene Schnitt” ) maybe chosen due to the comment of Kepler. There are some who say that Leonardo da Vinci (1452 – 1519) used the name sectio aurea for the golden section even much earlier but this name was not used by others. One of many interesting ways of how phi can be expressed. 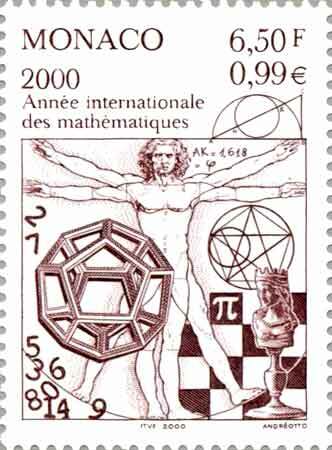 A stamp with a series of 7 golden rectangles and a logarithmic spiral (Scott 805, Michel 1337). The golden rectangle was considered by the Greeks to be of the most pleasing proportions, and it was used in ancient architecture. 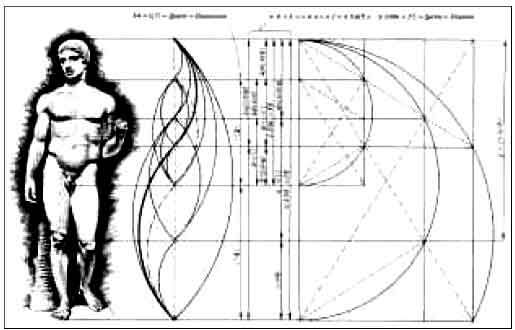 In some modern buildings such as of Le Corbusier (a Swiss architect born as Charles-Edouard Jeanneret-Gris, 1887-1965) the Golden Section is used and this is also assumed for the Parthenon as the images suggest. But is this true? For the dimensions of the Parthenon I have the following numbers: W = 30.88 m , L = 69.5 m and H = 13.72 m. With r = 9/4 this satisfies approximately the following relations : r*H = W, r*W = L and therefore also r2*H = L and therefore more likely the golden section rule is not applied for the Pathenon. 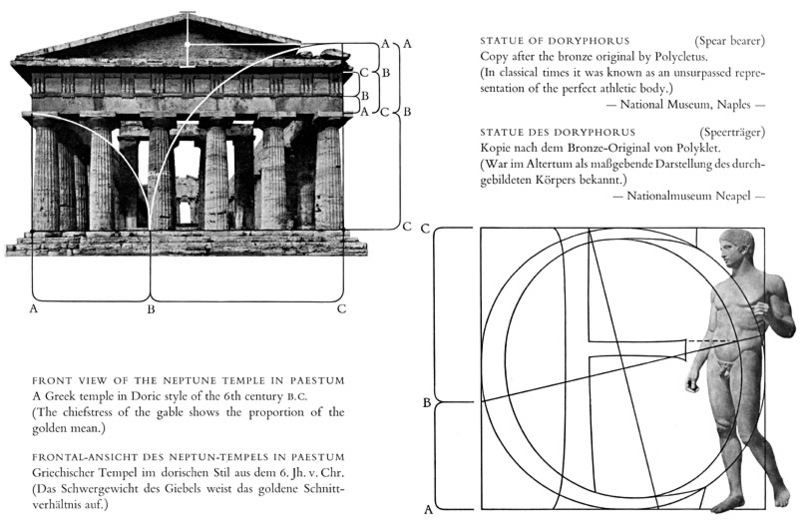 For other Greek temples such as the Poseidon temple in Paestum, which is older than the Parthenon, the use of the golden section is assumed, see the image, but why the points shown have been selected, such as one on the third left column? Was the Golden Proportion used in Greek Theaters? Epidaurus Theater: The place for the spectators was divided into two tiers: the first one had 34 rows of places, the second one 21. The angle between theatron and scene divides a circumference of the basis of an amphitheater in ratio: 137°,5 : 222°,5 = 0.618. Dionysus Theater Athens: Three tiers. The first tier has 13 sectors, the second one 21 sectors. Now 13, 21 and 34 are Fibonacci numbers (0, 1, 1, 2, 3, 5, 8, 13, 21, 34, 55, 89, ...) with the property that the ratio an+1/an converges to phi. 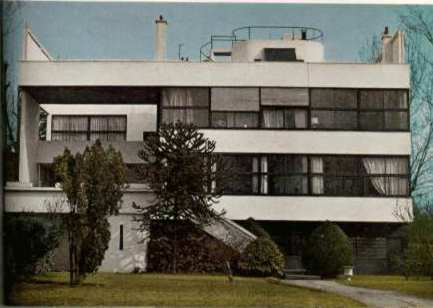 Le Corbusier, one of the most important architects of the 20th century, was also interested in how the golden ratio is related to the anatomy of the human body. The United Nations building is divided in 3 golden rectangles but if you ask me it looks not very nice! Leon Battista Alberti (1404–1472), a Florentine painter, sculptor, architect, musician, and poet ,or as he used to say a universal man, defined as a composition that rule by which the parts of things fit together. 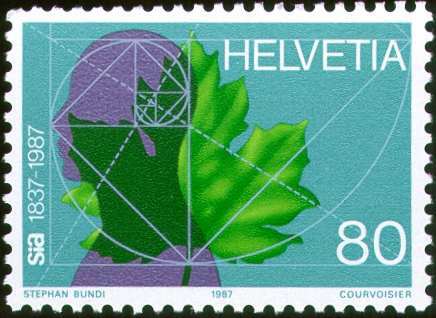 The golden rectangle rule was an important such harmonious proportion of parts in Art. There was yet a fifth combination which God used in the delineation of the universe with figures of animals. Plato says this discussing the dodecahedron. Maybe some explanation for this is that the pentagon is associated with the golden section and the corresponding ratio is observed in various biological systems (see the Links). One must be careful if the use of the golden section in Art and Architecture as assumed by the Greeks in the Parthenon or elsewhere is actually true! The images may suggest that the Golden rectangle can be found in various parts. The golden rectangle is probably the most aesthetic rectangle at least as some tests have shown the result was close to the golden rectangle among different rectangles. It is this reason that probably many approximations of the golden rectangle can be found in various other examples in Art and Architecture. Construction of the Golden Section and the Golden Rectangle, given AB the smaller side of the golden rectangle. Take a square with side AB and a perpendicular at the center of AB at K (AK = KB). Take the radius KB and draw a circle with K as center. The extension of AB is intersected at C. AC is the larger side of the golden rectangle. What has the golden ratio to do with beauty or anatomy ? Henri Christiné (1867 - 1941). 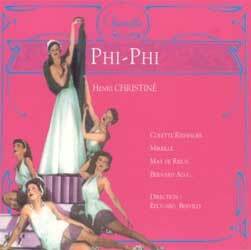 Phi-Phi. Now in every work of art the basis of its composition is geometry or in other words the means of determining the mutual relationship of its component parts either on plane or in space... And again, since it is mathematics which lends significance to these relationships, it is only a natural step from having perceived them to desiring to portray them. This, in brief, is the genesis of a work of art. M. Bill. The Mathematical Way of Thinking in the Visual Art of Our Time, The Visual Mind: Art and Mathematics, M. Emmer, editor, Leonardo Books-MIT Press, Cambridge, 1993. Martin Ohm, M. die Reine Elementar-Mathematik., 2nd edition, Berlin: Jonas Veilags-Buchhandlung, 1835. The Golden Ratio: The Story of Phi, the World's Most Astonishing Number , Livio, M. The Golden Ratio: New York: Broadway Books, 2002.